Katsuhiro Otomo was considered as the emergence of a new anime cultural phenomenon. Born in Tome, Miyagi Prefecture in April 1954, it was quite known that Otomo was a movie fanatic especially for American movies. He used to travel over three hours in train to see films in Sendai which was around 80 Kms from home. His visual imagination translated itself easily into comic forms, and after high school, he moved to Tokyo to get a job in the prolific Manga industry. His first commission was writing short strips for Action comics, which began appearing in October 1973. In 1979, Otomo’s first longer publication appeared—a series called ‘Fireball’, which was a great success for its ground-breaking style, which also changed traditional manga forever. This was the beginning of Otomo’s interest in science-fiction themes. In 1980, Otomo’s ‘Domu’ became a best-seller and won Japan’s Science Fiction Grand Prix Award. 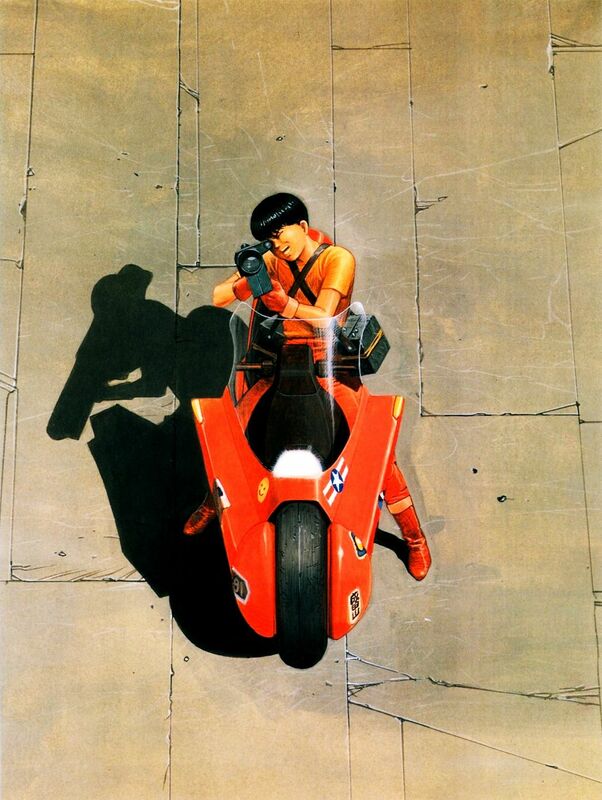 In 1982, Otomo came up with the comic series ‘Akira’, which was first published in magazine Young. It was an immediate success and grew into an epic tale. Akira is considered as a revolution in anime world and has a philosophical and political approach to it. The plot is set around Tokyo and has several compelling character interactions and conflicts, unrivalled apocalyptic devastation and killer premise. Akira is continually looking at Japan as a nation, and exploring its relationship to technology and modernity in the current century. It also looks back and forward prophetically, making it relatable to every reader. There is so much happening that it can pass by a lot of people, because they are not looking for it or are not aware enough of Japan’s history to pick up on it. The book is incredibly detailed and Otomo is also considered as master of Panel. Panels are nothing but how information is delivered in a comic. Conversations, fight scenes, poses and everything else from the plot are depicted as a single frame in the comic. The story takes place within these panels and the transition between the panels decides the ability of a story teller. Skilled transitions and progressions will create the story in our heads and turn still pictures from the comic into an animation by itself, making us feel that we are the animation movie creator! Otomo’s vivid imagination and perfect sense of timing has indeed made Akira one of his masterpiece. The book was also translated and published in the west, which made Manga all the more popular besides Japan. An animated film adaptation, named Akira was released in the year 1988. Though the plot was shortened considerably, it retained much of the core characters and scenes. It was Directed by Otomo himself and was very well received by audiences from across the world. It is also worthy to note that the bikes featured in the book and later in the film became a sensation by itself and was known to have increased the custom bike-makers business by 45%. By making an animation movie out of Akira, it became the most expensive animated movie ever produced in Japan until 1988. Akira has won numerous awards including the Kodansha Manga Award for best general Manga in 1984 and Harvey Award for Best American Edition of Foreign Material in 1993. In an interview with Otaku News, where the correspondent asked Otomo on what he thinks are the reason behind Akira’s worldwide success, Otomo quoted “I didn’t make it with a foreign audience in mind. To be honest, I haven’t made anything intentionally directed toward a foreign audience. But I was certainly surprised when I recently went to the Academy Awards and received a standing ovation”. Animation/Multimedia animation movie creator, katsuhiro otomo, making an animation, photoconcierge.